Smoky aromas introduce this succulent red, with flavors of black cherry, leather, earth and tar that show concentration and play off the vibrant structure. Drink now through 2028. Deep plum and black cherry flavors are shrouded by toasty oak, along with leather and leafy underbrush notes. Hefty tannins offer support, but the weight is offset by sweet fruit and lengthy aftertaste. Drink now through 2024. Mature plum, scorched earth, grilled sage and a whiff of oak-driven spice aromas lead the nose. The soft, easygoing palate offers juicy black cherry, vanilla, clove and a hint of game alongside rounded tannins. A modern style, this offers deep color and ample oak notes of vanilla and spice, with a core of black cherry and plum fruit. Big, dusty tannins frame finish. For fans of the style. Best from 2017 through 2024. Dark berry, vanilla, roasted coffee bean and toast aromas waft out of the glass. The firm palate offers dried black cherry, anise, espresso and oak-driven spice alongside grippy tannins that leave an astringent finish. This vibrant red displays black cherry, tar and tobacco flavors aligned with a steely structure. Well-balanced, featuring a dense, long aftertaste that evokes underbrush nuances. Drink now through 2020. Suave, silky tannins provide the backdrop for the 2009 Riserva. Dark cherry, plum, mocha, new leather, and cloves are some of the many notes that flesh out in this supple, highly expressive wine. The style is warm, rich, and enveloping, with lovely energy and terrific overall balance. An impressive showing. Soft and supple, with a strawberry sweetness adding to the rich fruit, this comes up against cool, earthy tannins in the end. It’s the tannins that last for now, needing bottle age for the fruit to extend. This wine begins with aromas that recall red peppers, black berries and spice with a whiff of grilled sage. The palate offers ripe black cherry and plum accented with white pepper and cinnamon-spice and thyme. It still has youthful, aggressive tannins that need a few more years to soften. Drink 2016-2021. This is richly concentrated and dense, showing an inky dark color with blackberry, leather and cured meat notes. A soft chocolate tone appears on the close. Lush and exotic, evoking aromas of coffee, vanilla, black cherry and licorice. Complex and firmly structured, with a mineral component adding another dimension to the long finish. Not for traditionalists, but impressive nonetheless. Drink now through 2020. With scents and flavors as black as ink when first poured, this wine’s tight reduction begins to relax into a bittersweet cocoa and black cherry intensity. The fruit lasts, tight, firm and juicy, ready to decant for grilled quail. A brooding, masculine expression, this offers savory aromas of cured meat and smoked bacon, with bright fruit aromas of blackberry and soft cherry. The wines is thick, inky and structured on the close, with a point of bright acidity that gives it balance. This red has mellowed to a burnished glow of cherry, plum and oak spice flavors, all in harmony. There are still some tannins on the finish, but they are integrated and this shows class and complexity. Drink now through 2018. Round, soft and velvety, this beautiful Riserva Chianti Classico offers a huge bouquet with mature cherry and black fruit aromas. The mouthfeel is tight, streamlined and compact. Silky and sweet, offering an alluring bouquet of black cherry, black currant, truffle and violet flavors. Picks up a mineral element that glides easily across the palate to the long aftertaste. The tannins are present, yet well-integrated. Drink now through 2020. Tasted twice, with consistent notes. Dark in color and concentration, this Riserva Chianti Classico delivers aromas of plum, prune, asphalt, road tar, licorice and leather. The wine is dense and black and offers chewy succulence in the mouth. Drink now. 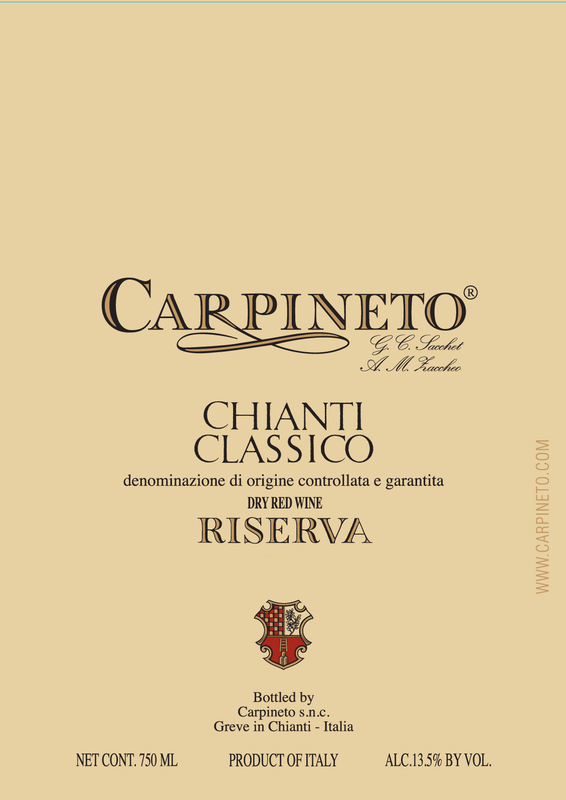 This is a lovely Riserva with thick and penetrating tones of cherry, spice and cola—the holy trinity of traditional Chianti Classico. The wine is dense, concentrated and intense without being too powerful or overwhelming. It would make an excellent companion to veal in a wine reduction sauce because of the natural succulence and structure.